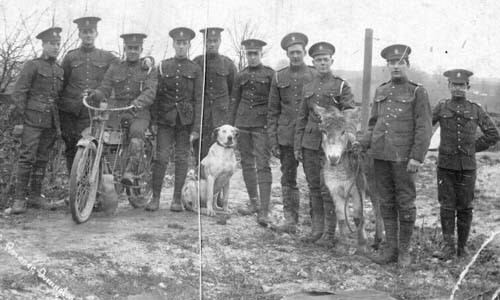 14th Battalion Royal Montreal Regiment troops. Private Duval (presumed), far right. Westmount, Quebec – 02 November 2018: Many of you have been following the daily exploits of Private Raymond Duval, MM by reading his diary which has been published every day on the RMR website since 22 March 2017 – publishing what he wrote precisely 100 years later to the day. Private Duval has been faithfully recording in his diary nearly every single day. His story is about to start taking some another “break”. He won’t be posting daily on a regular basis for a while, in fact until the day prior to the armistice. Luckily, the reason for this particular break is not because Raymond Duval and the RMR are being sent into battle again. They have just be reconstituted after two solid months of hard fighting, and they are receiving reinforcements, getting back up to full strength, and conducting training for their next tour of the front. Remember, although the rumours were flying, they had no idea that the war was going to end in a week or so – most people assumed the war would continue until 1920.